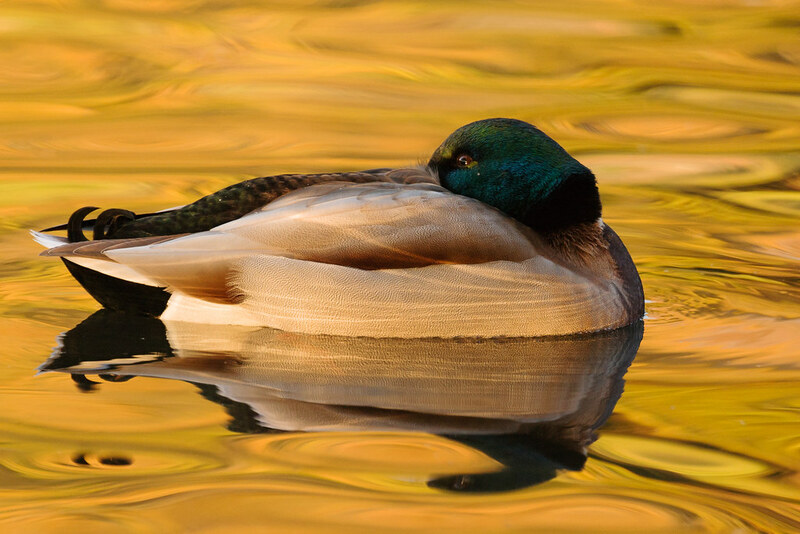 On this rainy Christmas day here in Portland (it did snow earlier so we had a shot at a white Christmas, but alas our more typical wet Christmas won out), here’s one of my favorite wildlife shots of the year, a mallard drake resting amidst the reflected colors of the fall leaves. The picture was taken in late October at Crystal Springs Rhododendron Garden here in Portland. This entry was posted in Birds and tagged Crystal Springs Rhododendron Garden, fall, fall color, mallard, Oregon, Portland, swimming. Bookmark the permalink.